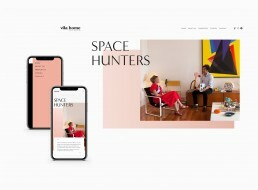 Vila Home is a lifestyle and a space hunter authority in Lisbon that provides access to the most beautiful and exceptional homes while helping buyers to make smarter and more discerning decisions. We have structured Vila Home’s website content in 5 pages: Home, About Us, Properties, Stories and Contact, properly liked to each other. 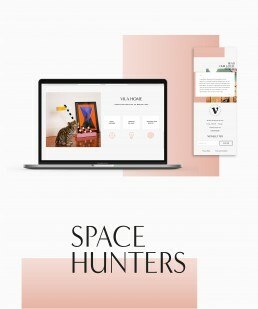 For each of them, we used a gradient of pastel pink and an elegant serif font in black, to match Deborah and Stéphane’s pictures with vivid colors, thus communicating their chic-but-still-cool style. 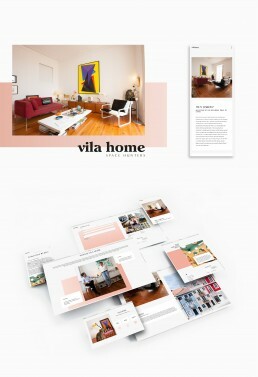 This overlap of content was than animated, and interaction details were added to make Vila Home’s page not only an elegant and artsy mixture, but also to transmit how the brand is contemporary and effective to its time.